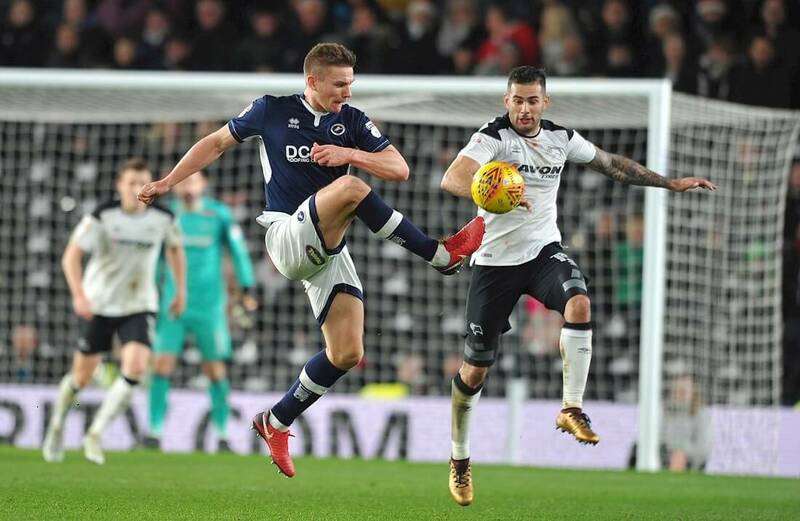 Millwall succumbed to a 3-0 defeat following a frenetic, fast paced, furious first half five minute display from Derby County that left the visitors still clear of the relegation zone but sitting uncomfortably in 17th place in the Championship. 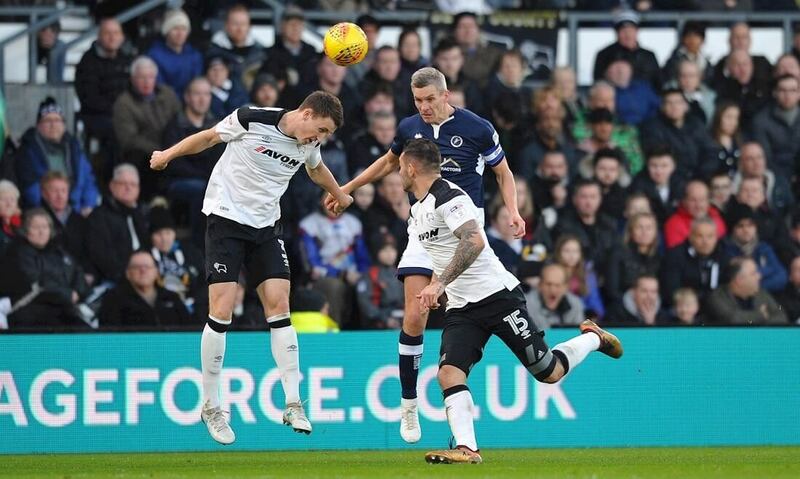 An in form Derby County demolished Millwall as the home team recorded their sixth win in the last seven games to move into the top three in the table as David Nugent scored a brace for the Rams. Home fans would have been celebrating Christmas by the half time break as the visitors found themselves 3-0 down after 28 minutes and with no chance of a comeback. As it is Millwall’s away form this season has been dreadful and a hammering looked on the cards. However a resilient second half display meant the Londoners went home with at least a bit of pride at Pride Park intact. No presents from the Derby back four who were stout in defence and Millwall will feel slightly aggrieved as for 85 minutes of the game they matched Derby tackle for tackle, shot for shot and man for man in a game where possession was almost equal (52% to the home side) and shot count was 14-13 to Derby. In fact Millwall made more of the attacking opportunities with more corners than Derby (11 as opposed to 6) yet it was simply a couple of errors from Millwall where they fell asleep for 5 or 6 first half minutes and Derby tamed the Lions with those errors. Pity any Derby fan that took a quick toilet break and went off with a nil nil scoreline and came back to find themselves 3-0 up as Nugent flicked in the opener from Chris Baird’s cross and Matej Vydra’s superb 25 yard shot made it 2-0. I have to say that from a reporters point of view I had this unfortunate situation happen to me once while reporting and came back from a toilet break where Aldershot had been winning 3-1 to find them 4-3 down. Cold January evenings in Hampshire beware! David Nugent was all hustle and bustle and fired in the third before the break from Bradley Johnson’s pass and it was all over bar the mince pies for the travelling away support. Millwall have now failed to win any of their 12 away league games this term, started well with Neil Gregory having an effort cleared off the line. This run had seen them fail to find the net in eight of their 11 previous fixtures. Millwall had the better chances in the second half, with Scott Carson in excellent form making three or four world class saves most notably from Lee Gregory’s close-range strike. “We’ve had a lot of big moments on the road this year where we’ve not taken our opportunities at key moments and been punished. We made three or four errors and conceded three goals, we had numerous clear-cut chances and have not taken them and that’s the realism of where we are. “I’m really pleased with a clean sheet but we probably didn’t deserve one. Millwall deserved a goal but we could have scored a couple more and some of our attacking play was excellent. I know it sounds a bit cliched but I’m not really bothered about the other results, bothered where we are in the league or how many points we’ve got. “Once you start doing that, you then start making decisions and judgements based on other people and it’s about what we do. If we maintain what we are doing we will finish in a very strong position.